What to do then? I'm trying to brainstorm ideas for how to remind remarketing customers about the coupon code without telling everyone about it who visits the site. For this it seems like the best way to direct these visitors to a specific offer would be to set up a dedicated landing page for the remarketing audience, and then to either just show them the discounted price or coupon code, or populate the coupon code on that page and only show it to traffic from the remarketing campaign. Targeting an ad and landing page for a new product to visitors who had seen a thank-you page for (i.e. had purchased) another product. Targeting an ad and a landing page that’s further along the funnel than the last action they’d taken (such as targeting a trial offer to visitors who have downloaded a white paper). Showing visitors who viewed a key page but left your site a specific offer and landing page (for example visitors who saw your pricing page and left could be shown an ad for a discount and a landing page for a discounted offer). Just like segmentations around keywords or placements, by thinking strategically about the audiences you create you’ll be able to better message to them and create better optimized landing page experiences for them, which will improve your conversion rates. By the way, if you're not using AdWords remarketing yet, you should give it a try. We've wondered in the past if remarketing is "creepy," but a recent study found that most consumers feel neutral about retargeted ads, and a full 25% say they like them. People who clicked on a retargeted ad said they did so because they liked the featured product and it's a convenient way to get back to a site they already visited. 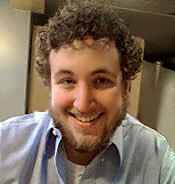 Tom Demers is Co-Founder & Managing Partner at Measured SEM and Cornerstone Content.